There is a surprising amount of modern day work being done to support the 25 year old retro-computers; memory expansion, modern storage and accelerators to name a few. I had the opportunity to look over Jim Brain's shoulder during the development of the 64NIC+ where I learned a lot about what modern day users of the old stuff are up to and shared with Jim my paranoia over the Phi2 Data-Hold-Time specification. 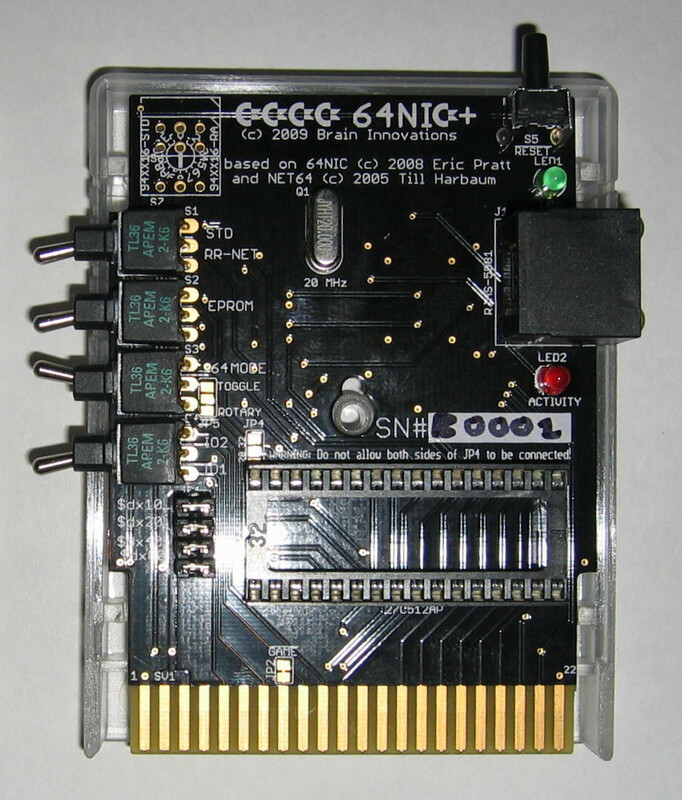 The card is plug and play, I knew Jim was a distributor for JiffyDOS so I wasn't surprised that the firmware support was integrated somwhere along the way. More of Brain's gadgets can be seen at his store Retro Innovations. Got old gadgets, product or stories? Contact us and let us know! I have 3 of these cartridges, One sees a lot of use. There is a program called geoLink(GEOS) that can be used to connect to IRC with. Information what is in each ROM can be found on my BLOG http://www.n2dvm.com/blog in the 2010 archive at the bottom of the page.